The Intel Atom C3000 launch just happened as a very low key affair. As of today, August 15, 2017, the Intel Atom C3000 line is available to OEMs building solutions around the chips. The initial list we received was what we would call preliminary. With embedded parts, it is not uncommon to see the line-up evolve over time. 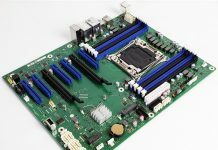 Whereas the previous-generation Intel Atom C2000 series was extremely straightforward, the Intel Atom C3000 offers more points of differentiation. Armed with this information, let us look at what the differentiations mean beyond CPU cores and clocks. HSIO lanes vary from 6 to 20 depending on the SKU. 8 of 15 SKUs have 20 HSIO lanes. The Intel Atom C3000 series SKU list is certainly more expansive and more complex than the Intel Atom C2000 series was at launch. In general, it shows that Intel has been able to penetrate some key markets that low-end ARM was threatening in the 2013 timeframe. This differentiation will come at a cost. We will update this piece as we get price lists for the Denverton series. What we can say is expect costs to go up significantly, and not the $18 premium Intel places on dual 10GbE on the Intel Xeon Scalable line. Hmm, interesting. It looks like the larger die (12-core and 16-core SKUs) only has 1MB of L2 per core while the smaller (up to 8-core) die has 2MB of L2 per core. I’m assuming they’re separate dies anyway; it would make sense for Intel to do so. Can you please run some single-threaded benchmarks comparing the higher core count and lower core count chips at about the same clockspeed? My gut feeling is that extra L2 is pretty significant. Sweet. With a price of £264+VAT looks like the A2SDi-4C-HLN4F (C3558) will be my next firewall/router/VPN.